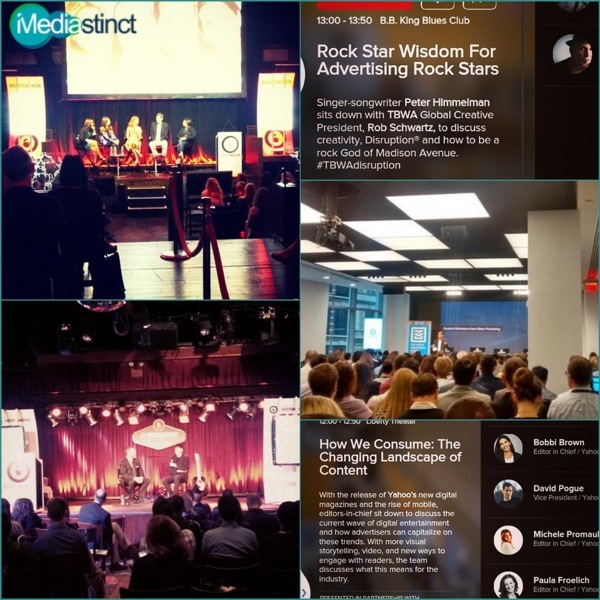 Mediastinct™: On the second day of Ad Week the dominant buzz continued to spin around programmatic, storytelling, video and native advertising and much more. “The audience doesn’t care about the platform. They care about the content.” – Kevin Spacey at New York Advertising Week 2014. Content is definitely ‘the’ king! In the day and age of technological prowess and staying ahead of the digital crowd, it is still the stories that win over much talked about software. What most advertisers and marketers need to accept is that advertising needs to ride on content and not the other way around. This is only because an editorially charged content understands the undercurrents and the pulse of the average consumer’s mind. It is simply a perspective you cannot ignore and that is what comes in handy when advertisers hand over the reigns of their stories to writers that know what buttons to push. Sponsored or branded content, in other words native advertising, is often misunderstood and is a fuzzy concept in the minds of many marketers, despite the incredible hype surrounding it. It becomes even more complicated when you combine it with programmatic ad buying. Nevertheless, over the past few years, about 72 percent of the agencies are going ‘native’, even though they are investing cautiously, with just 10-20 percent of their ad budgets set aside for this advertising concept. Taking native ads in the programmatic direction would mean that buying would be automated across parameters such as data, sizes and of course, content. How will this help advertisers and publishers? Advertisers will have more data to enhance their buying decisions and get higher value to the dollar spent at the same time, while publishers can reach out to higher earnings rather than depending on mere CPM buys simply because of organic traffic. Facebook finally unveiled its rebuilt cross device advertising platform ‘Atlas’ at Ad Week which would employ people-based marketing. At present, Google owns the biggest chunk of online advertising market, slowly tailed by Twitter, with the addition of the ‘buy’ button. However, most brands have been reported to be apprehensive about utilizing a platform that they may not have complete control over. In addition, many retailers and publishers are tip-toeing around the platform due to concerns over Facebook’s invasive data tracking. In fact, it seems that most marketers prefer their own microsites and professional social platforms such as LinkedIn, instead of Facebook. It felt great to experience ‘Rock Star Wisdom For Advertising Rock Stars’ at the B.B. King Blues Club, where Rob Schwartz, Global Creative President, TBWA Worldwide and Peter Himmelman, singer-songwriter and CEO of Big Muse discussed creativity, disruption and how to be a ‘rock god of Madison Avenue’. Another thrilling session was with Yahoo Ad Buzz at Liberty Theater on ‘How we consume: The changing landscape of content’, where the editors-in-chief spoke on how advertisers can capitalize on the current and emerging digital entertainment trends through increased visual storytelling, and devise innovative ways to engage and interact with readers. We cannot wait to enforce all these insights and watch the entire medium of digital advertising blossom. We are tirelessly making rounds getting to know some brilliant minds behind incredibly successful brand stables at Ad Week, SMX East and BrightRoll Video Summit. Do reach out to Team Mediastinct™—Samron Jude (Director), Mariel Fonseca (Strategic Partner Director) and Shamilee Ilango (Business Head). They are available at contact@mediastinct.com or samron@mediastinct.com/ mariel@mediastinct.com / shamilee@mediastinct.com.